I liked the warmth of the sherpa & it was a good height for me. But it broke after only 4 days of use. It was not sturdy at all. I am extremly disappointed. I did get a full refund minus shipping. Don't waste your time or money. 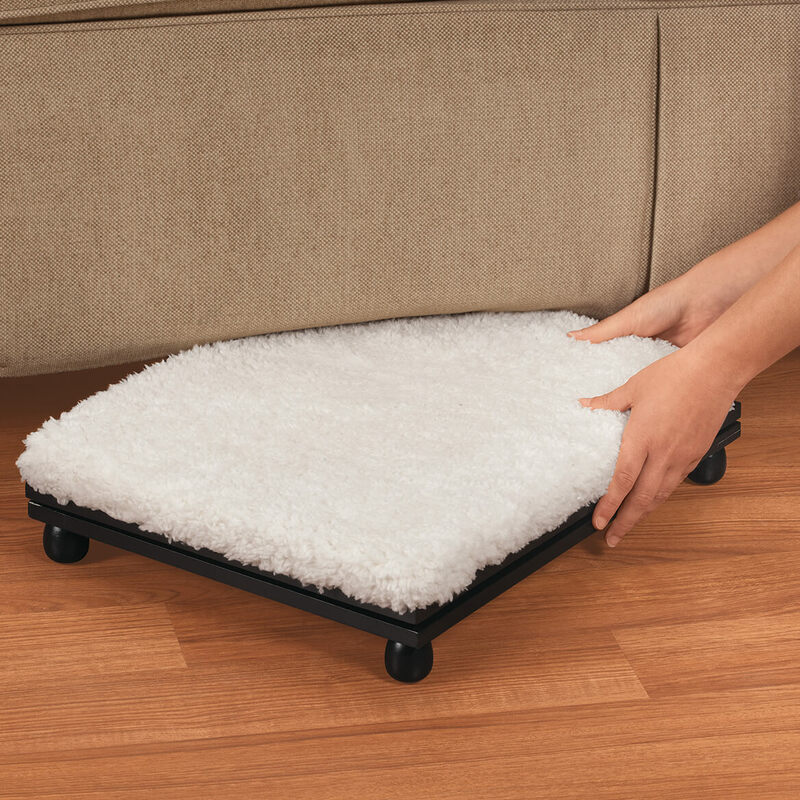 Needed a footstool that will slide under my sofa when not using it. 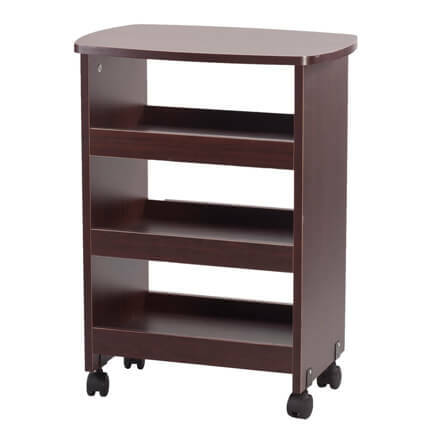 It's collapsible and easy to store. it unique and I need a foot rest for my new chair. I like the ability to store this foot stool under the chair when not in use. Space saver ! I need a footrest that collapses, hopefully this one will hold up. Thought this would be useful while sitting in my wheelchair. l. I needed a foot rest for a chair. 2. It will slide under the chair for safety and to allow more room when not in use. 3. It matches the wooden legs on the chair. For circulation in my legs and the Sherpa is so comfortable. need a footrest to elevate my feet. Now living in a condo, I have had to downsize and this footrest is perfect for me with the foldaway option as space is limited. 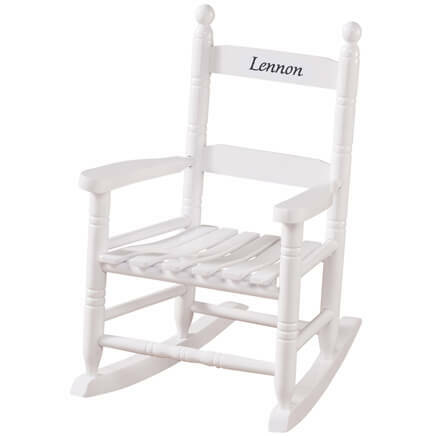 Goes with my rocking chair. It will be a birthday present. For my grandmother. The height lowered and extended are perfect for her based on the height of her arm chairs. Other foot rests we have found in stores are much too high and most are not compatible with her decor. The coloring and materials also match her room it will be used in. The ability to change the height is ingenious. I can't wait to see how comfortable and useful it is. As a psychotherapist I sit for long hours each day. 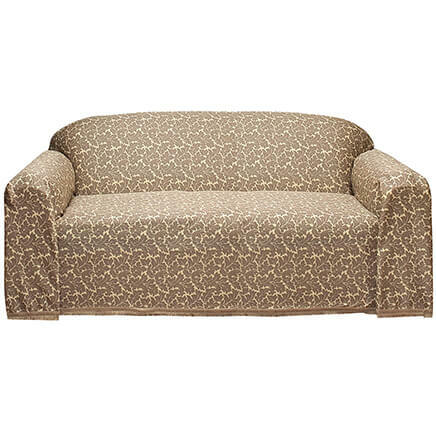 Purchasing this allows me to sit comfortably and change body positions. 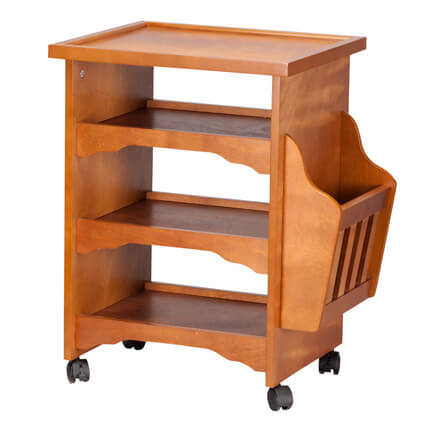 I don't use the higher level but the foot rest down provides comfort and wheels allows me to move it easily. tired of husband using TV tray for leg rest! I can elevate my legs on it especially my left leg because I have problems with it. Also, it matched our furniture is mahogany. It is something I needed. The description shows as the item being sturdy and I ordered for my niece. 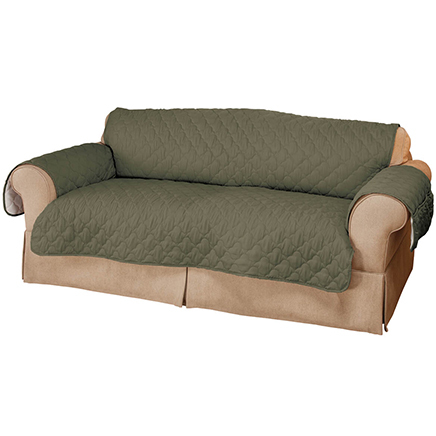 The fact that it has soft padding and is adjustable with rollers helped in my choice. Comfort for a slightly immobile person. 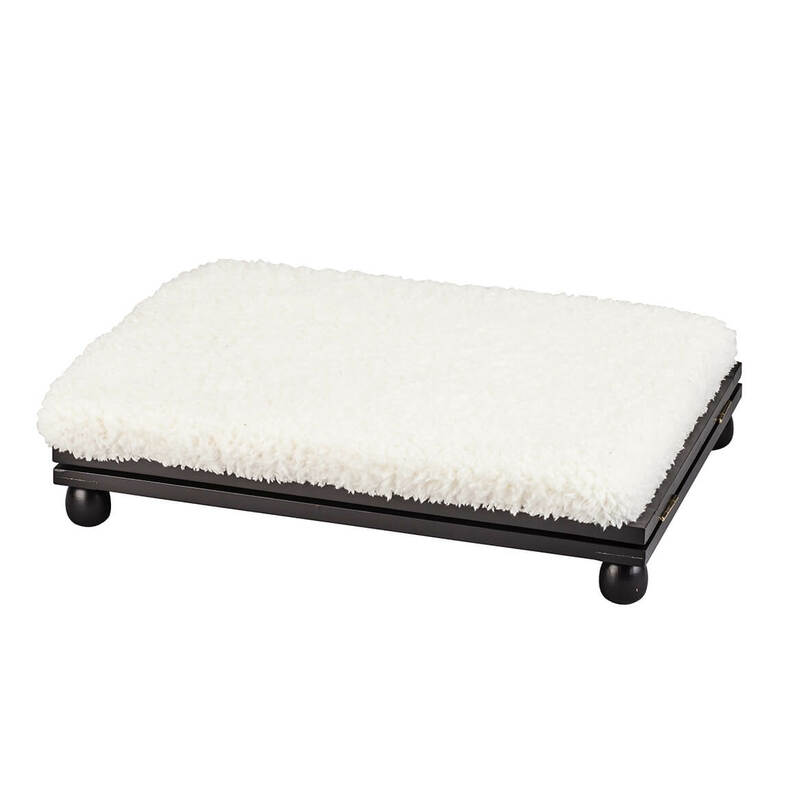 I WAS LOOKING FOR A SPECIALTY FOOT STOOL FOR MY BROTHER-IN-LAW AND CAME ACROSS THIS ITEM AND FOUND IT TO BE PERFECT. Portability and easy to store. Appears to be very useful. Easy to store; nice appearance. want to put my feet up to watch tv, but do not have an ottoman. I'm planning to use this mostly all the way down at 6" when using my office chair & desk at home. 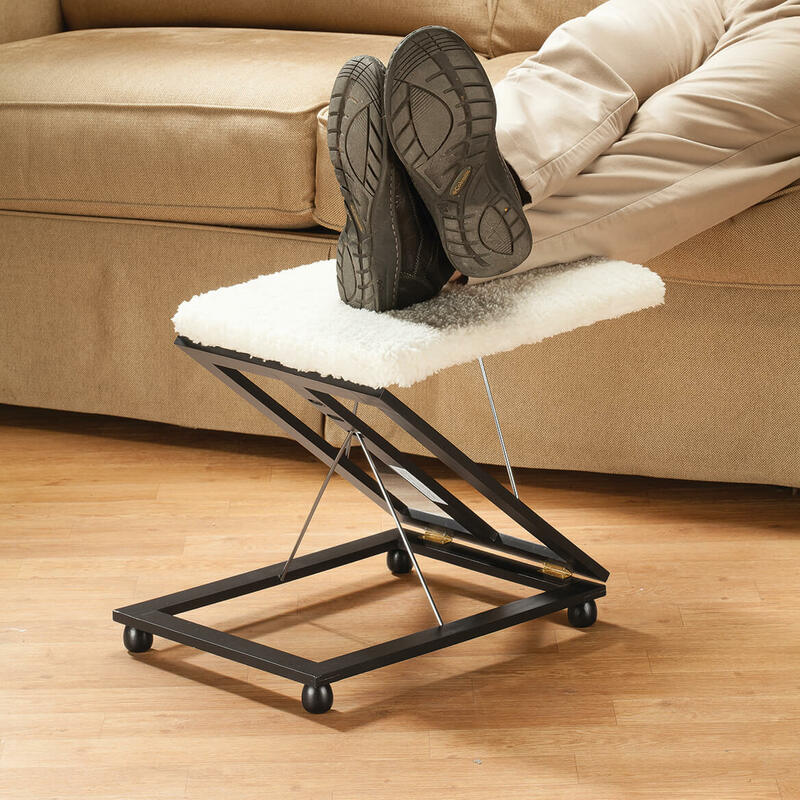 I'm short so using this my legs won't dangle & it will make it easier on my back. 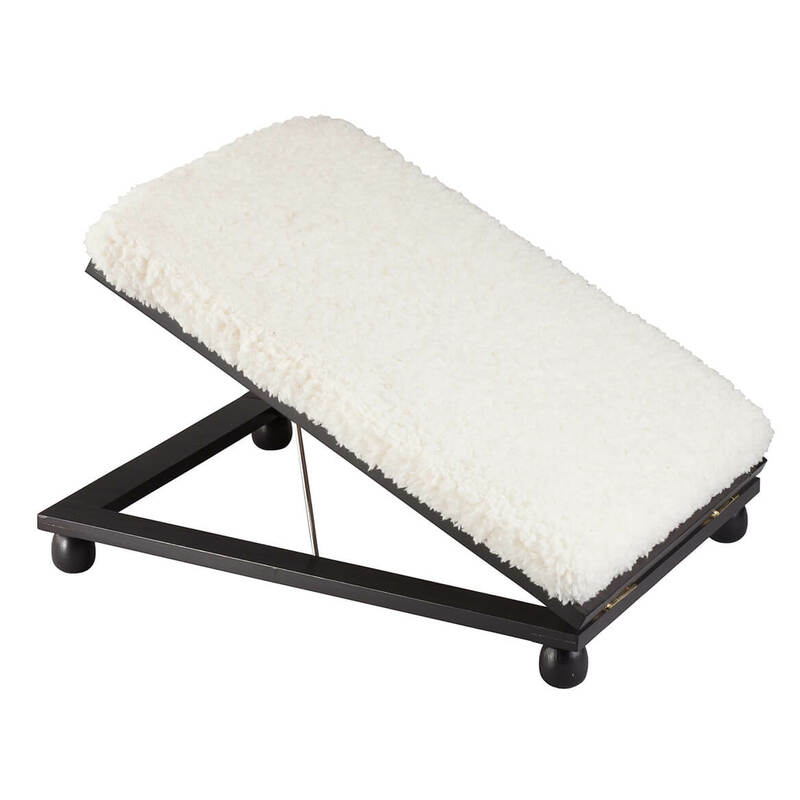 Can you stand on this stool when elevated? BEST ANSWER: Absolutely NOT! They are made only to be footrests, and can't support the weight of anyone even sitting on it, let alone standing! The labeling on it will tell you that. That's because it's not made from sturdy wood, but lightweight wood that breaks easily. If you need a stool you can stand on, you have to get one that's made for that purpose. Absolutely not. It is designed as a footrest only. By the way, it is really comfortable and lightweight to move about. You can't sit or stand on it. It will collapse under you! (See my prior answer). I WOULD NOT RECOMMEND IT BECAUSE IT'S ON WHEEL. do the wheels lock into place to keep it from rolling while in use? BEST ANSWER: Thank you for your question. Unfortunately the wheels on this item do not lock. We hope this information will be of help to you.